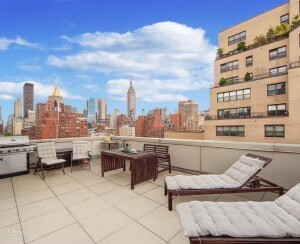 Ever dream of being bought out of your crummy, or not so crummy, rent-stabilized apartment? You're not alone. Whether you're already mulling a move or your landlord wants to get you out so he can move in a higher-paying tenant, giving up a coveted rent-stabilized lease can often net you a serious profit if you play your cards right. It all boils down to one question: How much is it worth to the landlord to get you out? "People are willing to pay, but you have to ask," says Steven Wagner, a New York City co-op and condo attorney with Wagner Berkow Brandt, who has negotiated hundreds of buyouts over the past three decades. "And it's much easier to set a high price early on and come down later than it is to start low and raise it." That said, the amount of your buyout will vary. 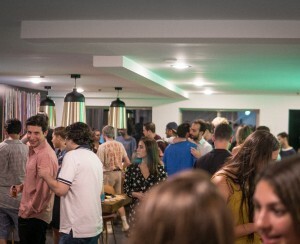 "There is no industry standard for relocating tenants,” Wagner adds. “Some landlords claim to have so-called ‘cash for keys’ programs where the offer to vacate an apartment is as little as $1,500 regardless of the size of the apartment. This amount is hardly enough to pay for moving expenses. Other landlords have paid well in excess of $1 million to have a get rid of a tenant. It really depends on the circumstance and facts of each case." One helpful thing to note if you don't want to get bought out of your apartment: "Recently, the law has changed so that if you’re a rent-regulated tenant and the landlord contacts you and wants to buy you out, if you tell them that you do not want to be bought out and not to contact you, they cannot contact you again for six months," Wagner says. And if they do get in touch again within that time frame, it's legally considered harassment. The age and the health of the tenant. A young, healthy tenant who will presumably be around for many years may, in some instances, be able to demand more than an elderly, infirm tenant. The location of the property. The old adage, “location, location, location” means something in buyouts, too. The more valuable the property, the more likely it is that the landlord will be willing to pay a higher amount to get out a tenant. The rent paid by the tenant for the current accommodations and whether it is below market. If the rent is way below market, the landlord can profit by upgrading and re-renting the apartment, at a higher, possibly market-rate rent. The rent that could be collected by the landlord, or other benefits available to the landlord if the apartment were vacated. The more the landlord stands to profit, the bigger incentive he/she has to pay you a larger amount. The right of the tenant to remain in possession if the buyout is not concluded. If the landlord can get you out without your agreement by litigating or by de-regulating the apartment, this might affect the amount a tenant is willing to accept to leave. The cost for the tenant to relocate and to replace the lost housing accommodations with comparable accommodations. In theory, the higher the cost, the bigger the buyout. Any extraordinary cost for the landlord to keep the tenant in possession. If you are one of the last people in a building and the landlord is paying interest on a large loan, the landlord not only has to maintain essential services in the building with very little income, but he/she also has to make payments on the loan. A landlord is likely to offer a higher amount to avoid months and months of paying these costs. The financial condition of the landlord and of the tenant. Some landlords simply do not have the cash to buy out tenants. Obviously a deal with this landlord will be difficult to make unless the tenant is willing to take a nominal amount. Others landlords may have plenty of money to pay a tenant in order to accomplish their goals. Any special or extraordinary personal needs of the tenant. This is a broad category, but could include, for example, a planned wedding where the apartment is no longer suitable and the spouse has another apartment, or a baby in a fourth-floor walkup, a new job that would require relocation to another city or country, age and infirmity, coupled with the desire to move in with a family member or to warmer climes. Any special or extraordinary need of the landlord to recover the apartment. If an apartment is illegal and the landlord has received violations for improper occupancy, he/she may have to pay to get you out. Similarly, if a landlord wants to combine units to make a larger, higher-rent apartment, or to change the use of a ground-floor apartment to a store, the landlord may be willing to pay a significant amount to get you out. The pendency or likelihood of litigation or administrative proceedings and whether the landlord or tenant is likely to succeed. If the landlord is about to evict you, it is not likely that a big buyout will be offered. On the other hand, some landlords try to evict tenants who are entitled to stay. If the tenant successfully defends him or herself, the landlord’s leverage in removing the tenant will likely diminish and the tenant will be able to demand a higher payment to move. The tax consequences of a buyout. Payments for surrendering possession of an apartment are taxable at ordinary income tax rates. It may be possible to structure a buyout to significantly reduce the tax consequences. If the landlord could net a lucrative refinance on the building after the tenant leaves. Besides the amount they could make on higher rent, Wagner factors in the potential for the landlord to refinance based on those numbers. "If they were to take that additional rent money they get and use it to refinance the building, how much of the financing proceeds would that put in their pocket tax-free?” Wagner asks. How many people are still living in the building? 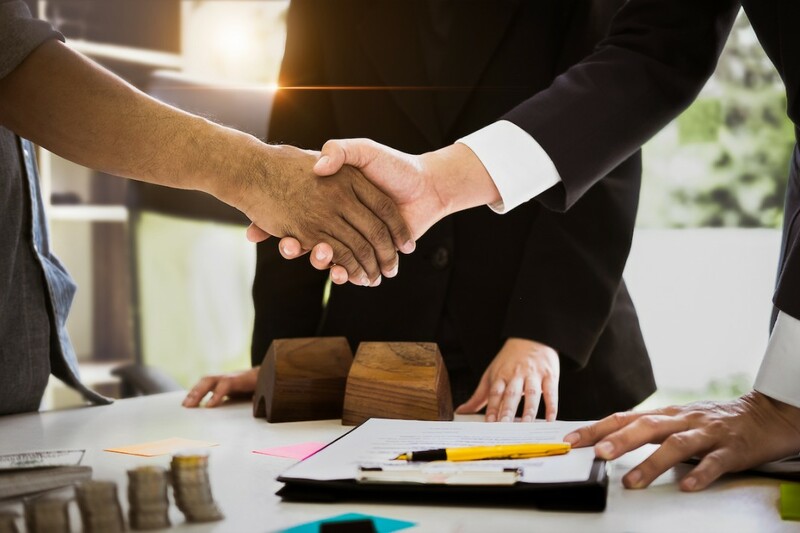 Negotiating as a group is always a powerful tactic, but on the flip side, if you're the lone holdout standing in between the landlord and their lucrative renovation, demolition, or conversion plans, you could wind up scoring big bucks to clear out. In this case, the apartment was a ground-floor, two-bedroom apartment located in the 70s on the East Side between Park Avenue and Lexington Avenue. The tenant consisted of a family of four with two children under the age of 10 who attended public schools near the apartment. There was a large, vacant commercial space adjacent to the apartment in the same building and an unused area in the rear of the building directly behind the tenant’s apartment. The tenants’ rent was under $1,500 and they were protected by rent stabilization. There was no reason to think that the landlord would commence eviction proceedings or would be successful it tried. We learned that the landlord wanted to combine the apartment with the vacant commercial spaces, which would allow it to very, very significantly increase the rent. Buyout: $1,075,000 paid by a bank check the day that the apartment was vacated. The tenants purchase a house on Staten Island for cash so the children would have a backyard and be near the rest of their mother’s family. In this one, there were 12 people living in a building and were under the impression that they weren't regulated. For one, the landlord even had a "signed" agreement from the tenant stipulating that her apartment wasn't subject to regulation. But it turned out that the building had a J-51 tax abatement, and when that's the case, the landlord has to advise the tenants when they move—and at each subsequent renewal—that they're rent-regulated and subject to J-51 benefits, as well as when the benefits end. And failure to comply would allow a tenant to remain stabilized even after the J-51 benefits expire. For the tenant with the signed agreement, the landlord's paperwork had very obviously cut-and-pasted versions of her signatures on all the forms they claimed she had signed. We brought in a certified document reader when the landlord tried to evict the tenant, and ended up settling for well in excess of $1 million. This case involved a musician who was living in a small, one-bedroom rent-stabilized apartment located in an East 50s walk-up tenement. A new landlord, who had apparently been putting together an assemblage for a new development, had recently purchased this building and two others on the block, and had mortgage loans against all three buildings in excess of $15 million. The landlord was buying out the tenants for amounts ranging from $10,000 to more than $40,000. Conditions in the building deteriorated dramatically after the new owner took title and only a few tenants remained in all three of the buildings. We commenced an HP proceeding to force the landlord to make repairs to the building and to maintain essential services, and started a negligence action against the landlord for personal injury and property damage. Buyout/settlement of claims: $425,000. A small percentage of the amount paid was apportioned to the property damage and to the personal injury claims, and was not taxable. The tenant married her boyfriend and moved to Paris. One tenant in a Williamsburg building had been approached by the new owners with an offer of $15,000 to move out. It was a six-unit building, and two tenants had already been bought out, with one apartment vacant. So there were three apartments left in play. And we met with the tenants in each to see what they would need to replace the apartment. If they were paying $1,800 a month in a stabilized apartment and tried to find a replacement in the neighborhood now, how much would it cost them, including moving, taxes, and legal fees? Having multiple residents on board gave the tenants leverage, especially since the new landlord wanted to do work on the building, and having it empty would save them time and money on filing tenant protection plans for their renovation. We had all the tenants sign a "no buyout" pledge, where they agreed that they would not enter into an agreement with the landlord individually to be bought out. The pledge also stipulated that they wouldn't settle for less than $188,000 each, which after taxes and legal fees, would net the tenants around $100,000 apiece. The "no buyout" pledge worked wonderfully in this case, because we could say, "We'd love to help you, but we can't, they already signed." The tenant was an actor and a hostess at a macrobiotic restaurant with a small income. She lived on the third floor of brownstone in the East Village. No one else other than the landlord and his family lived in the building. The landlord had renovated the building at a great expense over several years and had listed it for sale with a notation on the listing that the building was “fully vacant.” The tenant wanted to remain in the building because she could not afford to move. We discovered that the tenant’s apartment had never been formally deregulated from the rent control laws. During negotiations, the tenant located an affordable housing apartment in a luxury 80/20 building and was accepted to be one of the low-income tenants. The new building had modern amenities and was a significant upgrade from the tenant’s apartment in the brownstone. Buyout: $100,000. 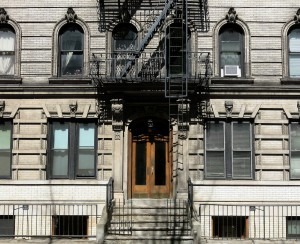 The tenant moved to the new apartment and lived happily ever after, and the landlord sold the brownstone in vacant condition for more than $2 million. The tenants moved out of the two-bedroom, two-bath Upper West Side apartment that had become subject to deregulation under the rent stabilization laws due to “luxury decontrol” (i.e., the rent was in excess of a limit that's now $2,700 and the aggregate family income was more than a limit that's now $200,000). The tenants’ daughter remained in possession after the tenants moved out and challenged the landlord’s luxury deregulation application. The fair market value of the apartment was roughly $4,000 more per month than what the tenant or their daughter was paying. Buyout: $15,000, and the security deposit was returned. The daughter happily moved to Williamsburg, which is where she really wanted to live. The tenant lives in a three-bedroom Upper West Side apartment he inherited from his parents, and the landlord keeps on trying to evict him for non-primary residence and losing. The rent is low, the building has converted to cooperative ownership, and the landlord doesn’t even want to pay six figures although the apartment is worth close to $2 million. My client is in his 50s and in good health, and has figured out how to force the landlord to make repairs, etc. This battle will go on for a long time. The renter is a rent-stabilized tenant in a loft building that was legalized under the Loft Law. He has been there for many years and he uses the space to live and work as an artist. The landlord calls me every six months to see if he can buy out my client, who says that he would take mid-six figures to move. The landlord claims he doesn’t have the money because he is not a “big landlord.” My client is older but in good health, and is content to stay in the loft. The apartment could be rented for multiples of what my client is paying in rent. New York City real estate attorney Steven Wagner is a founding partner of Wagner Berkow Brandt, with more than 30 years of experience representing numerous co-ops, condos, and individual owners and shareholders. To submit a question for this column, click here. To ask about a legal consultation, send an email or call 646-791-2083.